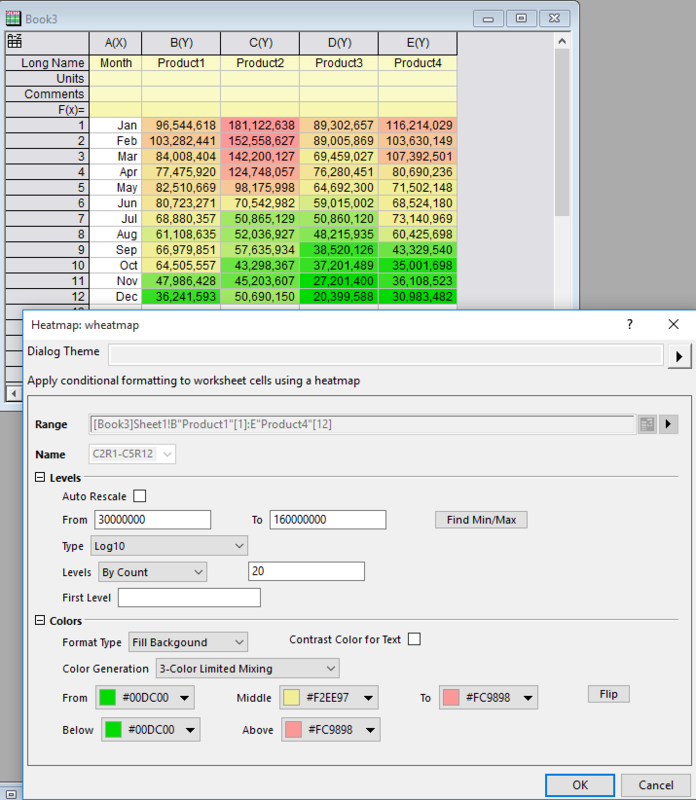 The idea of conditional formatting is to easily identify the key pieces from large datasets, by applying special formatting to cells in the spreadsheet that meet certain criteria. It visually calls user’s attention to important data points like outliers or a certain event. I have gene profiles from two different samples, and I’d like to cross compare to see if there will be matching pairs. How to apply basic conditional formatting? 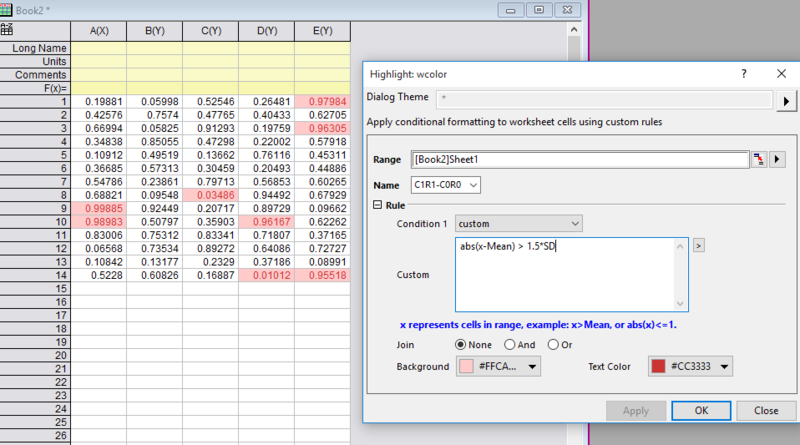 Highlight the targeting range and hit the menu Worksheet: Conditional Formatting. How to management existing conditions? 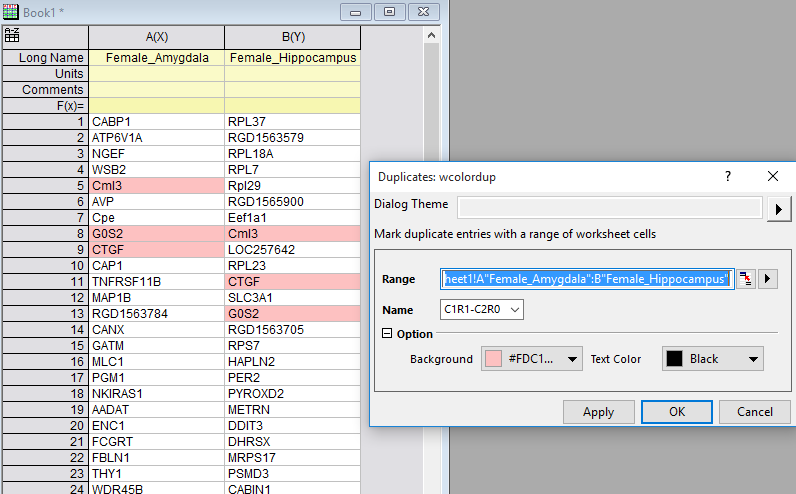 We support multiple conditional formats in different regions of worksheet. 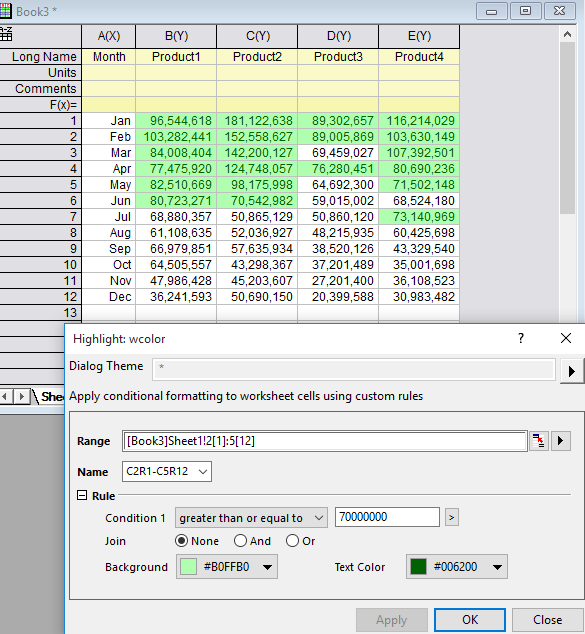 And you can choose Worksheet: Conditional Formatting: Conditional Format Manager to config it further (condition/color/etc.) or delete it.